(Kamloops, B.C.) 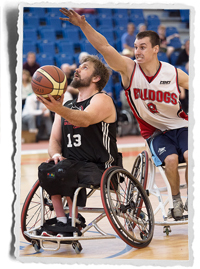 The defending champion Bulldogs de Quebec seized their third consecutive national championship title at the 2016 Canadian Wheelchair Basketball League (CWBL) National Championship at the Tournament Capital Centre in Kamloops, B.C. on Sunday. With the win the Bulldogs conclude the tournament with a flawless 4-0 record and extend their undefeated streak to 14 games dating back to 2014. The gold medal win comes after a dominant performance in the final match against the Scarbarian Tigers. The first half of the game saw the teams exchanging leads, but Quebec pulled ahead and shut down the Tigers’ attempts to catch up. Maxime Poulin added 37 points in the 61-48 decision for Quebec while Bo Hedges and Peter Won countered with 12 points each for the Tigers. The Twin City Spinners also joined Quebec and the Tigers on the podium, securing bronze in the closely contested match for third against the B.C. Royals. Propelled by Nik Goncin’s powerhouse performance, the Spinners found themselves ahead by two points in the final moments of the game. Amanda Yan and Deion Green each attempted to tie the game up for the Royals in the last few seconds, but neither shot found the mark, leaving the Spinners with the 56-54 win. Goncin produced a game-high 27 points for the Spinners, while Yan tallied a team-high 18 points for the Royals. Nik Goncin (Twin City Spinners), Deion Green (BC Royals), Mickaël Poulin (Bulldogs de Quebec), Bo Hedges (Scarbarian Tigers), and Chad Jassman (Calgary Grizzlies) were selected as tier 1 all-stars and Maxime Poulin (Bulldogs de Quebec) was named the tier 1 tournament MVP. 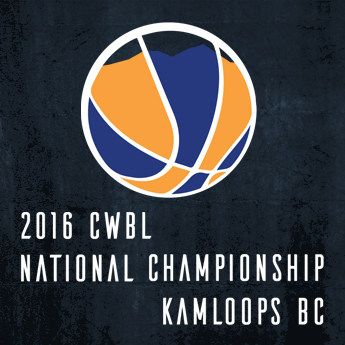 Shelby Harrower (Club ’99 Saskatchewan), Tanner Scott (Kamloops Bulldogs), Michael Kilonzo (Brampton Cruisers/Suns), Tamara Steeves (Brampton Cruisers/Sun), and Terry Pratt (Team Manitoba) were selected as tier 2 all-stars and Jared Sajitos (Club ’99 Saskatchewan) was named the tier 2 tournament MVP. The medal games concluded three days of intense wheelchair basketball competition in which 10 club teams from across Canada showcased their speed, skill and athleticism.